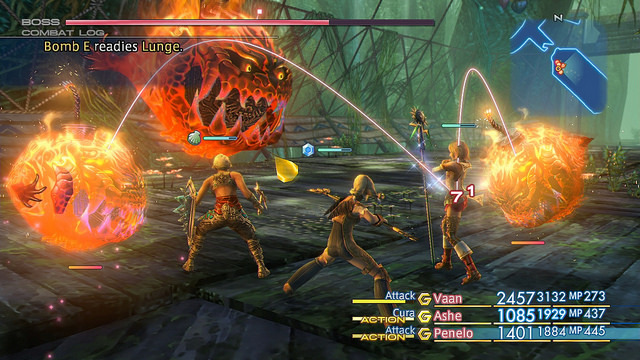 Final Fantasy XII The Zodiac Age, the HD remaster based on the Japan-only International Zodiac Job System version of the game, releases on PS4 today. The Zodiac Age uses the Zodiac Job System, which overhauls the previously existing License Board into 12 defined jobs, two of which can be given to each character. It gives each job its own License Board as opposed to every character sharing the same one, meaning that individual characters feel different and there’s incentive to use each character. In addition to the new job system, the new version has a host of other improvements, with shorter loading times, auto-saving, and a fast-forward function to make grinding and backtracking go more quickly than they ordinarily go. The visuals and audio have also been improved, taking full advantage of the PS4’s visual capabilities and even adding new music and re-recording existing music on the OST. If you want to know more about the game, you can find our impressions of the game from E3 this year here. A Collector’s Edition of Final Fantasy XII The Zodiac Age, including a set of art cards, busts of the Judge Magisters, a collection of music from the OST, and a digital code to unlock the original soundtrack music in-game, is available from Square Enix’s online store for $199.99 USD.